All roads lead to the Redemption Camp’s new auditorium of the Redeemed Christian Church of God (RCCG), for its 66th Annual Convention’s Holy Ghost Service, which will be attended by millions of persons from across the globe today. 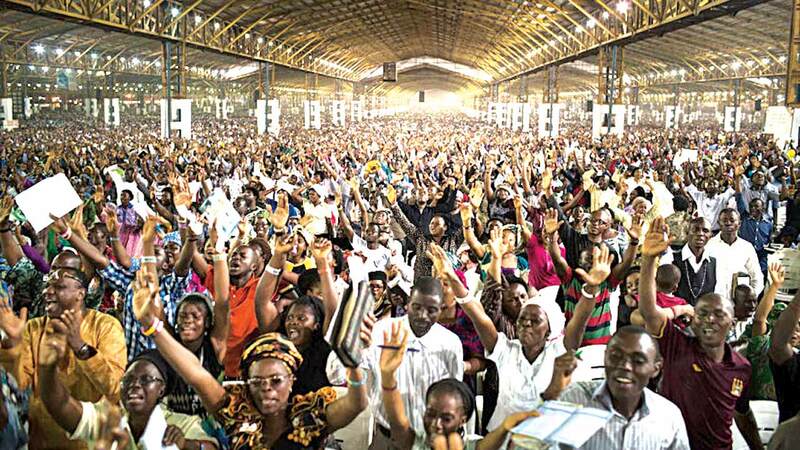 Worshippers will witness a deluge of unforgettable experiences as the program scenes at the twin camps of the church – the original Redemption Camp at Kilometre 46, Lagos-Ibadan Expressway and at The Arena, the three-by-three-kilometre auditorium in Simawa. People from distant places are expected to burgeon the number of people already scrambling for space to shield their heads from the harsh weather conditions often associated with this period of the year. Since the commencement of the programme, the Redemption Camp has been swarming with men, women, boys and girls moving about every available space in both auditoria. There have been special intercessions for the nation to avert the security challenges currently plaguing the country, as well as seek God’s intervention especially in line with the 2019 elections. As a special night and as a custom of the church, all participants are expected to fast and are reminded to come early as both arenas will be full while some people may have to stand, just as there was an assurance that volunteers from the church in company of hundreds of security operatives from Lagos and Ogun states will be on ground to ensure free flow of traffic at the Lagos-Ibadan Expressway. In a statement from the church, commuters are urged to co-operate with the Police, Federal Road Safety Corps members, as well as other traffic managers from Ogun State. According to the statement, everything is being done to manage the influx of people to the camp, which started on Monday.